The wallet held 2 bank cards, merchandise cards, driver’s license, and Social Security card. The suspect concealed the wallet in her sweatshirt while in the business. 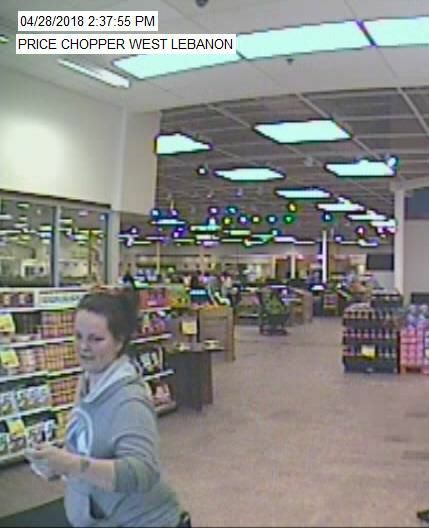 The female suspect wearing a grey sweatshirt is featured in the attached photograph. She left the store following the incident. We are seeking the public’s help in identifying the suspect. Anyone with information on the identity of this subject is asked to contact Lebanon Police Officer Emily Winslow at 603-448-1212.